A number of the original farm buildings have been converted into business units, and these are now home to a diverse range of small local businesses. Tom Cartmill’s paintings and drawings are known for their highly textured and intricately worked surfaces. Tom exhibits his work widely in this country and overseas. He also regularly undertakes commissions for homes and businesses. Cartmill’s work can be found in many corporate offices and his signature paintings grace numerous company board rooms. His paintings also form part of collections such as that of Reading Museum. Visitors are very welcome to Tom's studio. Please arrange an appointment first. We specialise in making quality hand made furniture, and as we offer a bespoke furniture service, we can make everything to your exact requirements, as well as offering a French Polishing service, so that your furniture is kept in the very best condition. 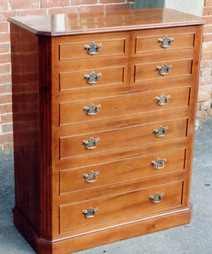 We also offer an expert antique furniture restoration service. 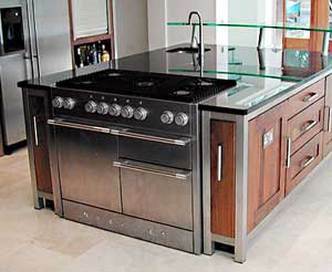 Handcrafted kitchens and furniture. Classical, traditional or contemporary with special finishes, we design, craft and fit unique kitchens and furniture for the discerning audience. 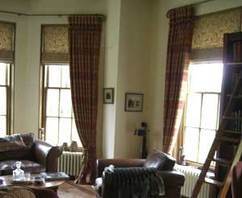 Beautiful hand made curtains and blinds with a wide range of fabrics, poles and trimmings. Also fitting and design advice. Berzerk offer quality drama and Lamda examination coaching for age 6-18 and independent classes - Go Berzerk! Superb craftsmanship. Re-upholstery specialists of antique & modern furniture. Wholesale supplier of ethically sourced and hand crafted Christmas and Easter decorations and gifts to the cultural and heritage, religious, garden centre and independent gift shop sectors. Products include hand painted papier-mâché decorations and gift boxes from Kashmir, carved olive wood decorations from Bethlehem and hand embroidered zari decorations from India. Member of the British Association for Fair Trade Shops and Suppliers (BAFTS). Trade Only. Essar Engineering provides CNC and traditional milling and turning services to a wide range of companies, large and small, throughout Berkshire and beyond. Working in a variety of metals and non-metallic materials, we can work to drawings provided in hard copy or electronic form. Specialising in pre-production prototypes and small to medium batch runs, we offer a service that combines quality and competitive pricing, together with realistic delivery time-scales. Based in the Reading area, our experienced staff offer the very best in precision grinding services. One off component parts and development machining, through to full batch production grinding, in a variety of materials and disciplines. We also offer a honing service. We can deliver next day to anywhere in the UK mainland. High precision grinding to the world's most demanding industries, i.e. aerospace, motor sport, pharmaceuticals and electronics. As a pure sub-contractor, we are a customer led company and customer service is at the heart of our business.